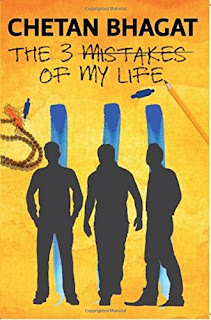 The 3 Mistakes of My Life by Chetan Bhagat Pdf Free Download - GOOGLE BOOK Free eBooks for Life! 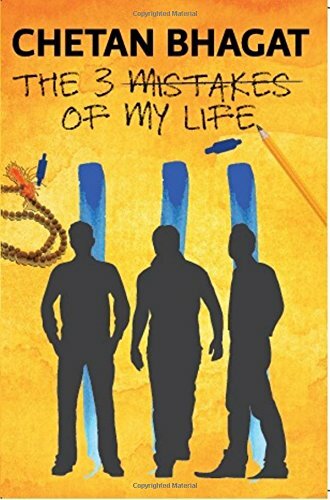 The 3 Mistakes of my life is the third novel written by eminent Indian Author Chetan Bhagat. Based on cricket, business and religion, the novel is set against the backdrop of beautiful city Ahmedabad. Revolving around three young Indian boys Omi, Ishaan and Govind, the book goes on to narrate how the three are trying their best to make ends meet in the city. Based on real events, the book starts with a dramatic twist, where Bhagat is reading an e-mail sent by some young person Govind, who has consumed sleeping pills for some reason and is writing to Bhagat, while waiting for his life to end. This book revolves around the three major mistakes committed by Govind in his life; he also happens to be the central character of the novel. Govind dreams to be a successful businessperson, while his friend Ishaan loves cricket and with the help of Omi and his priest parents, they set up their first venture - a sports accessories’ shop in a rented place outside the temple premises. Mostly revolving around these three young fellows, the novel has almost everything that youngsters in India can relate to; from budding love story and betrayal to death, riots and suicide, the book touches upon a wide range of emotions and common perceptions in India. Targeting young audiences, the 3 mistakes of my life is a simply written novel that like his previous work is filled with dramatic twists and turns that keep a reader glued to the book till the end. Chetan Bhagat is an Indian author, columnist and screenwriter, who is popularly known for his English-language novels, mostly based on the lives of young urban middle class Indians. Bhagat's novels have sold over seven million copies and in 2008, The New York Times quoted Bhagat as "the biggest selling English language novelist in India’s history. The Three Mistakes of Life was published under the banner of Rupa Publications; the 260 pages novel is a mix of cricket, friendship, religion, business, love and betrayal. The bestseller novel, similar to Chetan Bhagat’s other novels has been made into a movie too. Directed by Abhishek Kapoor, the movie Kai Po Che was received well in India.